In October 2007, I entered a contest on gather.com — Court TV Search for the Next Great Crime Writer contest. The winner of the contest would win a $5,000 advance and a publishing contract. 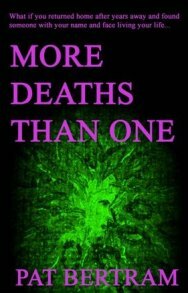 My entry, More Deaths Than One, was not a detective story, and it certainly is not a cozy mystery, but it is the story of a crime: identity theft. This theft is an actual theft of a man’s identity, not a paper one. So it did fit with the contest, though from reading the first chapter (all that was posted online for the contest), many people assumed it was a supernatural tale — as the blurb says, When Bob Stark returns home after spending eighteen years in Southeast Asia, he discovers that his mother Lydia Loretta Stark is dead again. 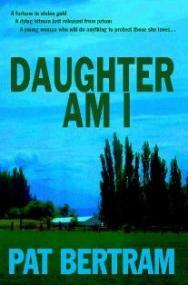 When he attends her second funeral, he sees his brother, his college girlfriend, and . . . himself. The contest started out being great fun but devolved into all sorts of infighting, faked votes, and terrible reviews that were posted for no other reason than meanness. Still, it turned out to be a pivotal point in my online life and my writing career. I met the group The Writin’ Wombats on Gather because of the contest, and ended up hanging around with them for all these years. Because of the contest, I eventually found a publisher. The link to the publisher’s website was posted on a Wombat thread, and since I was in querying mode, I immediately shot off a query letter. 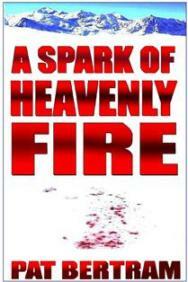 He loved my book A Spark of Heavenly Fire, and sent me a contract. Turns out, I already knew him through the contest, and he asked if More Deaths Than One was still available. It was. 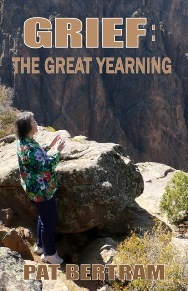 Second Wind Publishing has now published five of my books — four novels and one non-fiction book, Grief: The Great Yearning. Until the crime writer contest, my online presence had been confined to my blog (I’d only had a computer and the internet a few months) but after the contest I posted articles on Gather, and I also migrated to other sites, such as Facebook, Goodreads, and Twitter. I mostly hang around Facebook now because of my discussion groups there, but I always return to Gather, especially on Thursday evening when I do a live chat with my No Whine, Just Champagne discussion group. I started out knowing only a few people online, now I know hundreds. And all because of a contest. So, what was the pivotal point of your online life? I love this post. I think the pivotal moment in my online life happened six years ago, when I came to know a woman in Argentina through the official George Harrison forum. Chris and I communicated for a while through her forum thread, and it was through that I found out about her battle with cancer. We also emailed and chatted via instant message. Chris’ passing on Easter Sunday 2007 was the catalyst for me finding my place of purpose in the online world. Now I blog about my experience of grief after Chris’ death in the hope of providing support and community for others who have had similar experiences. Thanks for the impetus to tell this story. So glad you stopped by to tell your story. It is important to spread the word that it is okay to grieve. So many people seem to think grief is a weakness. Hi Pat! It’s good to see that No Whine is still going strong. My own online life morphed after that Gather contest, but was primarily a result of earthshaking events in my personal life. Perhaps I have yet to reach my pivotal point. It is so nice to catching up with what you, Jeffrey and Laz are doing now that we’re connected on FB. Personally, FB is where I spend nearly all of my time online. It was a wonderful support mechanism for me over the last couple years, especially.